In this series of blog posts, I aim to explain the causal structure of the spacetime solutions in general relativity. Currently, I am working on a special extension of Einstein’s theory (general relativity) which is known as Horndeski theory. There, I am trying to find the causal structure of the allowed solutions which allegedly permit super luminal propagation of metric perturbations. The methodology to obtain the structure is similar for all the gravitational theories and I wish to demonstrate it for general relativity (which is my comfort zone). Another way to look at it: equation(s) of motion (of a theory) give us the prescription to evolve the initial data (known values of the degrees of freedom) to final data that we are interested in. Now Einstein’s gravity theory has the components of the metric as the degrees of freedom. We denote them by . Another radical difference (common to all relativistic theories) is that the space and time are unified into a single parameter space called spacetime manifold (inheriting all the structures of the pseudo-Riemannian manifolds). So here we ask our favorite question: how do evolve in the spacetime. Mathematically, we want to know the , where is the representative of the spacetime coordinates from now on. In order to understand that, we start with a simple example. Consider a 2+1 manifold as shown. Now let us consider a wave operator on this manifold given by . For a scalar degree of freedom denoted by the operator acts on it to generate a wave equation . Here we are not interested in solving the linear second ordered partial differential equation. We want to deduce the properties of the wave, like it’s speed of propagation and the extent to which a disturbance/fluctuation in can propagate. Let us say that we know the value of on surface (where we might have a specified source or some boundary condition). The surface is essentially a codimension-1 surface and we will call the coordinates as internal coordinates (w.r.t the surface). Thus we can now easily compute the internal derivatives (from ) and denote them by where . Let the exterior/normal derivative to the surface be (note that on ). given on . Clearly the second derivatives of except can be computed from the given data. And here we use the wave equation (or equation of motion in general) to find the missing second derivative of . The co-normal to the surface is given by which we can easily represent in the natural co-normal basis as . And then we perform the coordinate transformation to chart such that . 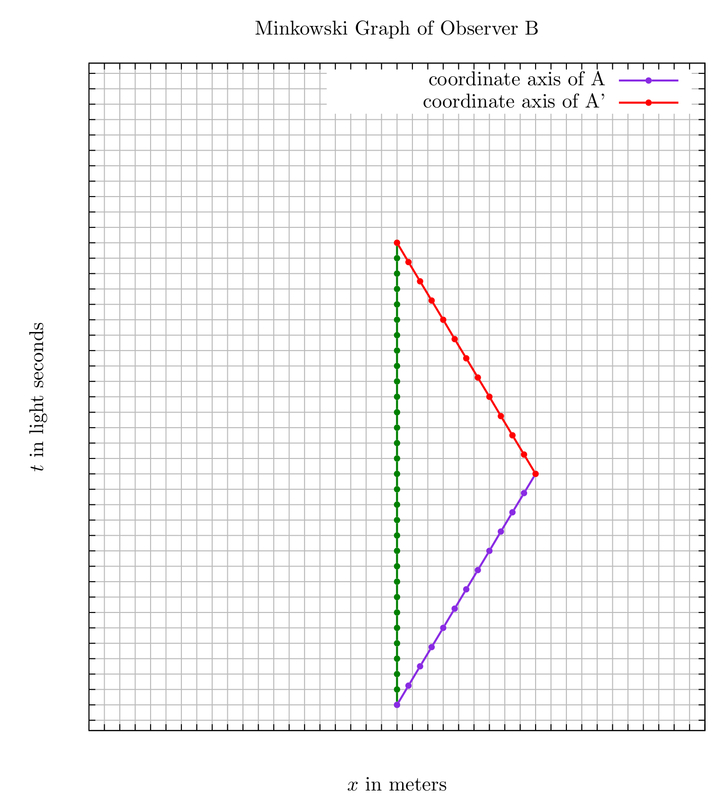 Note for this particular case and the new coordinate chart is exactly equal to chart. This is because is already perpendicular to the time coordinate. : in this case, we can invert the equation and find the second derivative of in the direction normal to the surface. With that information we can easily evolve the data further in time. : well, we can’t invert the equation which basically implies that there is no unique evolution of beyond that surface (which is now called the characteristic surface). In our example, the characteristic form is identically 1 (just look at the coefficients of second derivatives (-1+1+1). Hence we don’t have any characteristic hypersurface for the degree of freedom obeying the wave equation with the Cauchy surface as the entire plane. It is not surprising if you think about the plane electromagnetic waves, which again don’t have any characteristic hypersurface and obey the same wave equation we wrote above. 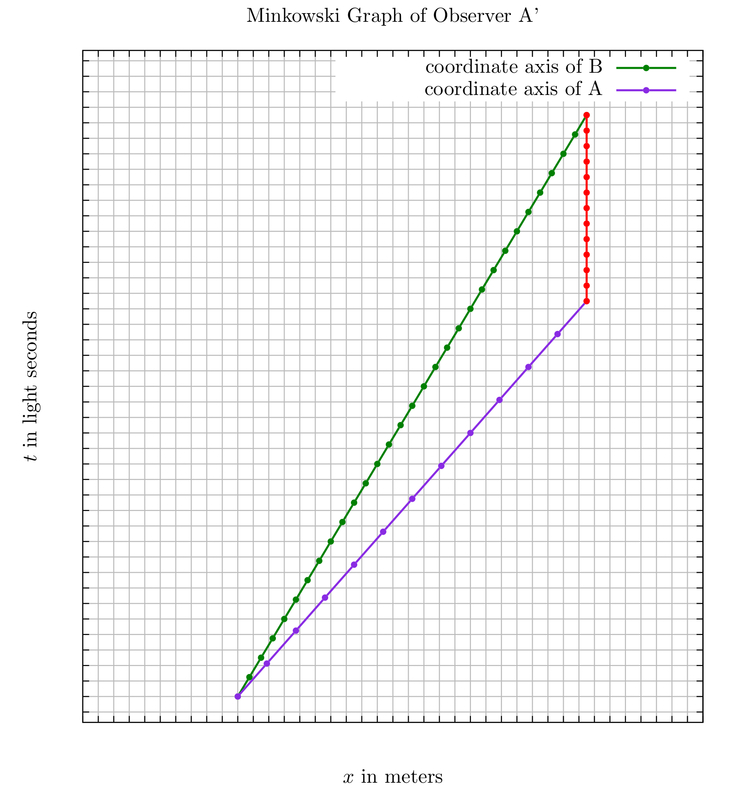 Moving on, we obtained an equation for a surface in new coordinates given by . Physically, this is the surface beyond which we can not evolve the degrees of freedom uniquely (as the second derivative is not uniquely determined). Now we need a mechanism to generate this surface. First we define the bicharacteristic curves or rays which are related to the linear second order partial differential operator , where we now generalize it to where . It is not difficult to check that in this case the characteristic form becomes . For our Helmholtz wave, we get the form . For our Helmholtz wave, one can easily solve them and find the solutions . They actually form the rays of a cone (with appropriate boundary conditions) traveling with speed 1. We have shown that if we introduce some perturbations at some point in Minkowski manifold, those perturbations will travel at unit speed and won’t escape the cone. This essentially exhibits the causal structure of flat Lorentzian spacetime which is in concurrence with the wave equation. I thought that I knew the Minkowski spacetime solution fairly well. But recently, to my surprise, I found that there is much more physics in that solution, especially at the null infinity. There is a set of certain symmetry transformations acting asymptotically at the null infinity which preserve some boundary conditions. This group of symmetries is known as BMS (Bondi-Metzner-Sachs) symmetry group. I will make more precise statements below in this post. Another, more surprising fact I found is that general relativity may not be a truly diffeomorphism invariant theory. 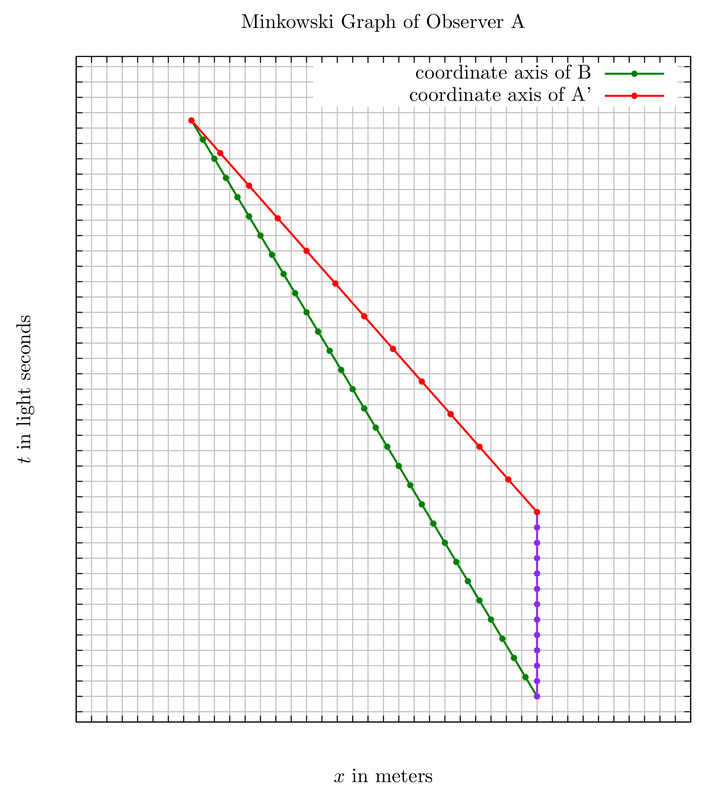 In fact these BMS transformations map one asymptotically flat spacetime solution of constraints to another physically inequivalent asymptotically flat solution (http://arxiv.org/abs/1312.2229). But it is a topic for later post (when I am older and wiser). Before progressing further, let me try to explain why physicists are interested in this symmetry group. In the well established Standard Model, the particles are the unitary irreducible representations of the isometry group of the flat Minkowski spacetime (known as the Poincaré Group), and, that of internal symmetries. For curved and dynamical spacetime, a part of the isometry group breaks down and the rest gets gauged (I plan to write a blog post describing this phenomenon in the near future). The Standard Model is formulated within the framework of Quantum Field Theory which works only on the flat spacetimes or curved spacetimes with fixed geometry or curved dynamical spacetimes with classical graviton. Gravity on the other hand is the theory of the dynamics of the spacetime. And, therefore, the Standard Model can not include the gravitons, the quantized form of gravity (like photons are quantized form of electromagnetic fields). Now, this is the most interesting part, if we study physics on the asymptotically flat dynamical spacetime solutions, then we do have the asymptotic symmetry group of this gravitational space (it is essentially BMS). And the irreducible representation of this group will give the usual particles and some extra multiplets. These extra multiplets are termed as soft gravitons which have gained much attention recently in the quantum gravity community. Again, in the hope of using these notes for my future reference, and to save a great fraction of my energy, I will take the liberty to be mathematically intense. But, I will try to maintain the rigor of topology, differential geometry and group theory so that my mathematician friends don’t get annoyed. Now there are two ways to fish the BMS group of Minkowski space. One is by Sachs (http://dx.doi.org/10.1103/PhysRev.128.2851) and other is by Penrose. Let us start with the first one. the hypersurface are tangent to the local lightcone everywhere. is the corresponding luminosity distance. the scalars are constant along each ray defined by the tangent vector . For such manifold , the line element ansatz can be written as where and are the functions of coordinates and determinant of . Also at large the line element , which is what we would expect. At this point Bondi and Metzner studied all the set of coordinate transformations which preserve the line element and the asymptotic behavior of the functions. Their considerations were subsequently generalized and the following group was obtained. One can immediately notice the semi-direct product structure of the BMS group here. where is the infinite dimensional group of supertranslations and is the connected component of the homogeneous Lorentz group.